Anthology – THE BOOKS THAT TIME FORGOT. Copyright 2013 except The Forgotten Seas of Mars 1965. Tarzan is in the Kasbah looking for leads to his wife Jane who was taken by Germans. After meeting a man who had no information he is contacted by French intelligence. They want to use him in exposing a group of traitors selling secrets to the Germans. Soon after the head of intelligence is murdered and Tarzan is battling the traitors with the help of an Englishman who had come to strip Tarzan of his title and fortune for the war effort. A story told by Mok who is an intelligent Sagoth in the service of David Innes. Mok was experimented on by the Mahars and is the only intelligent Sagoth. While visiting Kolk the king of Thuria in the Land of Awful Shadow a woman with wings falls from the sky. She is an inhabitant of the Dead World. Her people are under attack by the Mahars who have fled to the moon after being defeated. Mok is the only one who can communicate with her since she uses the same language as the Mahars. They have an adventure with a storm and hostile island natives. The woman falls in love with the kings son. Carson and Duare are under attack by scorpion men and flying snakes when they are rescued by a mysterious flying ship. It takes them to a complex run by Dr. Bodog and his daughter and son. Bodog comes from Earth and the continent that sank in the Pacific ocean centuries ago. He is also insane and plans to take over the Earth. He goes back with Carson and his daughter who Carson has fallen in love with and land in Los Angeles during a football game. The writer is in an Arizona cabin that was used by Edgar Rice Burroughs. He meets John Carter and convinces him to tell the story after he defeated Hin Abtol. So Carter starts the search for Tan Hadron who disappeared when mutineers took him. From criminals in Zodanga he learns of another underground sea at the north pole. In the city of Ayathor he finds Hin Abtol continuing his plans of world conquest with another large army of men frozen. He finds Tan Hadron and with another rebel manage to overthrow him. Shoz-Djiji the Apache Devil has settled down in the white man’s world. He manages the ranch of his love Wichita Billings. One day Marshal Fast Sam Dawson comes and offers Shoz a job as a deputy sheriff. Seems another renegade Apache has learned from the white-eyes and plans to take over the territorial government. He manages to stop his plans. The story of Nah-ee-lah when she came to Earth. At first she is a celebrity and hounded by the press. Later the Kalkars those commie moon men invade. When her husband dies while killing Orthis she and her young son hide out in Canada. They are pursued by Orthis’s woman and her son for revenge. Tarzan is at his English manor when he comes across writing from his ancestor who sailed with Drake. He finds out that Martians are coming to invade in Africa where he was born and raised. 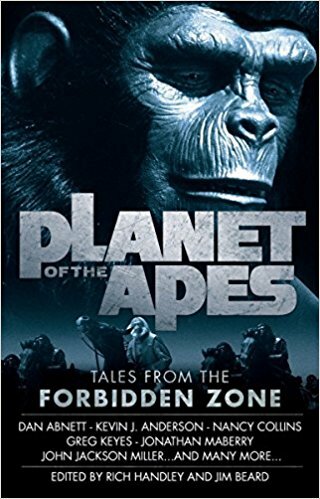 He goes back and gathers the apes and other animals to fight these tentacled invaders who can control the minds of men. Billy Byrne has made the ultimate sacrifice by leaving his love Barbara Harding. He soon after gets a message from her that her fiance was kidnapped. So Billy goes off into the Chicago underworld to get him back. The author buys an old typewriter and Edgar Rice Burroughs used. It starts typing and tells the story of Tangor and his trip from Poloda to find another world free of Kapars. The first world they come to Tonos. This world was destroyed in a war and now run by a computer. The remaining people are dying off until he educates them on how to run the machines on the world. David Innes is visiting Thuria when a meteor strikes. It releases a deadly spore that soon takes over the Land of Awful Shadow and starts spewing poisonous gas. David with Perry and Koort the young son of the king of Thuria go by balloon to the Dead World. They find out that the moon is really an artificial ship created by ancient aliens that created Pellucidar. Now they are returning and terraforming Pellucidar. David and friend have to battle cleaning robots to stop the plan. Tarzan is coming back from Pellucidar in the O-220 when a story blows the ship to the southern hemisphere and crashes into the ocean. The only survivors are Tarzan, Captain Zuppner and a young Pellucidarian girl named Zamona. The make it to Caspak and battle cannibals that fly pterodactyls. Zuppner and Zamona decide to stay as Tarzan searches for a way home. This was a cool idea for an anthology. Getting a bunch of writer together and put out stories from the worlds of Edgar Rice Burroughs. They manage to cover all the base with not only Tarzan and John Carter but Pellucidar and Venus. They also get stories from Burrough’s lesser know works like the Moon Men, Apache Devil the Mucker and Caspak. They even had the continuing story from Beyond the Farthest Star. Many of the writers did a good job of emulating Burroughs. Even using the various first person narratives. Some like the martian invaders or the second Pellucidar story did not feel like something Burroughs would have written but were still entertaining. The only story I didn’t care for was Lupoff’s Carson story. It was very un-Burroughs like to have Carson and Duare so quickly fall out of love. The romance that Burroughs wrote was one of the strong points to his writing and he just casually has them switch partners. It also just ended like it was only halfway through the story. I suppose there might be a continuation but I found it a complete waste of time. In spite of this story the others made this book a worthy effort. ‘Square Jaw’ Nichols is about to be fitted with cement shoes and tossed into the Nile by some mobsters. He is saved by the intervention of Captain Cairo. A short little introduction to the world of Cairo in the Nile Empire. 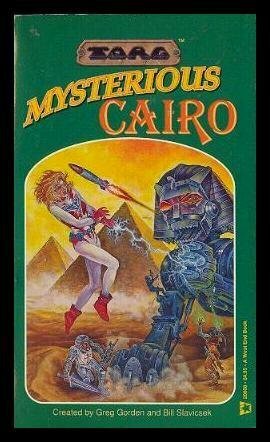 Jack Reynolds is an expatriate American living in Cairo. Since the arrival of Dr. Mobius and his Nile realm he has now got a job as a private investigator. One day the wife of the notorious mob boss Max Burban wants him to find her missing husband. This leads him to a plot by a Japanese corporation to take over the Cairo underworld. Angus Cage is getting drunk at a local bar when he is approached by Quentin Payne. Payne owns a shop of strange oddities. He wants Angus to help him resurrect a past pharaoh who is the doppelganger of Dr. Mobius. In exchange he will return to him his beloved Clemeta. Payne is stealing spirits from innocent people so Cage decides to end his plan. The Silver Scarab is a superhero who gets involved in a plot by the French resistance to frame the Mystery men for crimes against the Cyberpope. They hoped to get the Mystery Men in the fight on their side. Phillip Collington is a student from England who was affected by the reality storm that changed Egypt. He is now an expert in weird science and helps the Mystery Men with his expertise. One day he gets involved with the hero Sandstorm and his life gets some unexpected excitement. A group of Stormknights are heading to Cairo. They heard rumors of Dr. Mobius developing some new weapon. The group consists of a Core Earth Journalist, a Japanese ninja, an Aylse barbarian woman, and a renegade Hospitaller from the Cyberpapacy. The plane gets shot down and they are rescued by Major Havoc a Mystery Man who carries twin .45s. They destroy a giant robot Sphinx that Dr. Mobius developed. This is what is depicted on the cover. Paul Bennington owns the Club Icarus. He also runs a criminal exchange that matches criminals to those that need such skills. He has to fight off a Japanese corporation and their ninja assassins who are trying to take over his business. A young woman has become the superhero Raven to avenge her father’s death. She is ambushed by deadly assassins and is saved by The Shroud. Together the two stop a plot by Dr. Mangler from replacing the leaders of the Nile Empire with clones. A professor is assigned by Dr. Mobius to study the strange powers of a young English girl whose parents were killed in an accident. He finds out that the girl holds an ancient spirit and that spirit switches bodies with the professor. 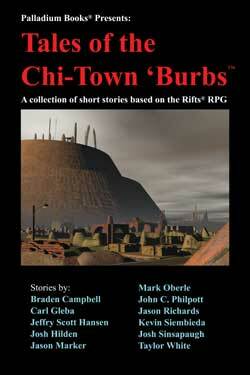 The third anthology for the Torg series. Once again they decide to go back to the Nile Empire. I thing this was the best of their anthologies. They decided to concentrate on what makes this realm so interesting. Namely the superheroes and villains. The weird science and pulp gangsters. They also had some interaction with other cosms. While some stories were better than others they seemed to be on the right track in their stories. A brief introduction to the realm of Aysle. 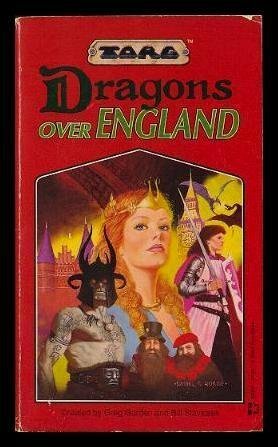 Most of the British Isles and Scandinavia have fallen to the invading realm where magic is real and mythical creatures exist. It then has a debate that the British government had to extend citizenship to half-folk. Martha Ayers is an American living with the newlywed husband in a small English village when the reality storms come. They change the village and her husband is now a blue skinned elf. She is a Storm Knight so she has retained her reality. She starts getting dreams from Uthorion that she must go and kill Lady Pella. She also gets images on some man who also wants to take over her body. She finds out that both sides in the possibility war are trying to take over her body. Robin Treveylan leaves his boring life on a farm to join a pirate ship the Daria Maria. He rises to second mate. One day they take on some passengers. One is a representative from the British government on Earth. They have to fight a kraken sent by the forces of Uthorion. A man in Ireland looks for his sister who transformed into a faerie. They reconcile and join forces to fight on the side of good. A mentally retarded girl and her leprechaun fight agents of the cyberpope who are leading the villagers of her small Irish village astray. Gypsor is a happy go lucky satyr who works at the Satyr’s Pub. One day he is captured by a slave trading dwarf and send to a diamond mine in Wales. His human friend Bakkeris joins forces with a young satyr who is from the god that Gypsor worships to rescue him from AK-47 totting dwarfs. Three soldiers of Lady Pella’s Home Guard survive an ambush and must make their way to safety. Hasifur is a centaur living in a Scottish village. One day the people turn against him and he is forced to flee. He meets up with a harpy who had a similar experience. They find out that it is magic that Uthorion is using on humans to make them hate half-folk so that he can recruit them into his army. Culann is an elf who with his tribe went into hibernation centuries ago as the magic disappeared. With the return of magic his people have revived. They come on a village that was massacred by Vikings and adopt the sole survivor a young boy. They go on a quest to avenge the village and join forces with an IRA terrorist. The Night Walker is an old elf that has made a reputation as a detective. He lives in the Tower of London that was given to him in exchange for his recovering the stolen crown jewels. He comes out of retirement to protect a woman from Orrorsh with a gem that grants immortality. Soon people associated with her turn up dead after being killed by a werewolf. The second anthology in the Torg universe and this one was the sword and sorcery realm of Aysle. The stories were OK but nothing really stood out for me. The Night Walker story was the most interesting otherwise it was a mediocre collection. Dhalshim a young boy in Cairo is fascinated by the old pulps his grandfather has in the attic much to his mothers disapproval. One day a violent storm comes and the next day Dhalshim finds that the world is changed. Gangsters roam the streets and the city is now under the control of Wu Han the Overgovernor of Dr. Mobius. Wu Han comes around and arrests his mother. Thus is introduced the realm of the Nile Empire. A land where 1930’s pulp fiction is real. Angel is a bootlegger of illegal booze in the Nile Empire. Secretly he runs guns to the NATO-Isreali forces that are fighting Dr. Mobius. One day the Pharaoh’s soldiers come gunning for him a Rick’s Cafe. Thus starts an adventure that takes him with his friend Omar to a secret facility at the old Roman city of Crocodilopolis. A group of Storm Knights are on a mission into the Nile Empire. A reality storm has temporarily shifted the area to Core Earth. Lead by a psychic Janya they are investigating a threat. They instead find a group of Sufis who are pacifist and living in peace. They also find out that the psychic vision is a trap and they do not have that much time before the storm shifts back to pro-Nile. Janya is from the Cyberpapacy and not a storm knight so it could be fatal if she is caught in a new reality. Her only hope is to sincerely convert to Sufism and hide from the coming Nile Storm Knights. Wu Han is the Overgovernor of Cairo and a typical stereotype of a ’30s pulp fiction Chinese. He has a Fu Manchu mustache and silken blouse with a dragon image on it. He has long fingernails and cackles evilly. When not planning some diabolical plan he designs and builds death mazes for his enemies. One day he comes up with a truly insidious plan. He kidnaps an actor troupe from L.A. doing a Chekhov play. He plans on distilling the essence of the play using the realms weird science and making a virus. The virus will turn people into a Chekhov play living in quiet desperation unable to act. The virus works too well and infects Wu Han turning him into a three dimensional character. A meeting at the Explorer’s club in Khartoum has Lord Cunningham narrate one of his adventures. The Pharaoh’s forces are using a weird science device to transplant their soldiers brains into cats for spying on the resistance. They are also using it to transfer the essence of the Black Jaguar a sort of Tarzan in this realm. This gives their men powers of the jaguar. Luckily Cunningham is able to destroy the device. Effie is a secretary for C. Michael Sloan a pulp writer who also happens to be the Wraith a superhero. One day armed men come looking for him and this propels Effie on an adventure that turns her into the superhero Justice. Bill Burns is a struggling novelist who works doing interviews for an entertainment magazine. He goes to the Nile Empire to interview Dr. Mobius. The realm changes him into a pulp writer. A troop of the Nile soldiers go to the Land Below a sort of Pellucidar type world that has formed. They find it full of eternity shards but are foiled by the primitive savage Kord. A woman whose father is murdered by a gangster takes the name Shahrazad and sets out for revenge. She manages through an elaborate scheme to steal all of the gangster Muggsy’s loot and redistribute it a la Robin Hood to the poor masses of Cairo. 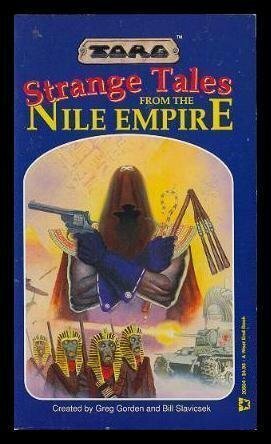 An anthology about the Nile Empire of Dr. Mobius. A pulp ’30s reality that has invaded Egypt and North Africa. It is filled with gangsters, and superheroes and villains. Weird science, melodramatic behavior and stereotypical characters. This realm is probably the most interesting of the realms in the Torg universe but the quality of the stories were mixed. Crocododilopis was a standard action story. Nothing really special. Storm Shift was boring. It was a sand storm filled with talk about how a girl must sincerely convert to Sufism. And that was about it. Now the Chekhov Strain was my favorite. Using Chekhov to create some sort of debilitating plague was a unique idea. Personally I would have used a Pinter play but the story was a fascinating look at the psychology of the human condition. The Strange Affairs of the Spirit Cats was also a fun good old pulp action story. It had a twist ending that was just hilarious. The next three were somewhat boring. Face of Justice was a good idea but not handled in an interesting way. Bill was mostly incomprehensible. The Land Below is another good idea not handled well. Most of it is the Pharaoh’s men discussing how they will descend to the Land Below then another agonizing slow descent. Reminds me of the rock climbing scene from the movie Lost Continent. Finally Shaharzad was an OK attempt. They had the funny gangster slang used which was over the top but made it mildly amusing. So a mixed bag for their first anthology. Luckily they would improve with subsequent books. Manassas, Virginia 2000 Mulder and Scully investigate a murder were the alleged perpetrator claims the victim disappeared. It leads Mulder to an opening to an alternate dimension. A body of a man is discovered inside a grain silo in Oklahoma. The man’s head exploded. The investigation leads to a secret government facility conducting experiments on prisoners to perfect a fungus that controls the mind. A murder investigation leads to a man who was able to develop a program that transplants his personality into the minds of others. An investigation of a rash of men killing their families then committing suicide. The trail leads to alien transmissions. Mulder is stuck in a small town in Virginia. He gets involved with a woman seeking help from the mothman. She turns out to be a demon that skins people. While investigating an incident at the Baltimore airport Scully runs into her old boyfriend that disappeared when she was a teenager. The man has not aged in thirty years and was a victim of an alien abduction, and the aliens are trying to get him back. The chess prodigy Gibson Praise from a TV episode is now grown up. He has mentally recreated the members of the syndicate and cigarette smoking man. 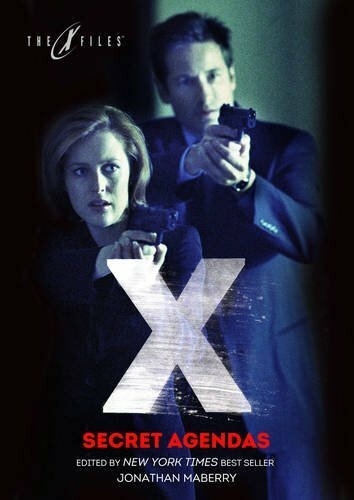 They try to find Mulder and Scully who have gone in hiding. A series of abductions and a murder occur around El Paso. Mulder suspects alien abductions and the two agents find out a cult working with the shadow government. Mulder gets a message from an old flame in London. This leads the two agents to England and secret base run by the Syndicate. A series of murders at a summer camp in Pennsylvania lead the agents to a mutant monster and some strange kids that were victims of the Three Mile Island disaster. A series of people in New Jersey have their left eyes taken from them. The trail leads to an optometrist and a possessed rag doll. Japanese-Americans in southern California are dying under mysterious circumstances. Mulder suspects a Kanashibari an old hag spirit that can suffocate people. A homeless man is murdered. His body is crushed to death without any other marks on him. Later a maid to the CIA director is strangled. The trail leads to the Cigarette Smoking Man and use of smart clothing. Mulder and Scully are coming back from an case and taking the scenic route. In a small town in North Carolina people are seeing images of angels and giant horned snakes. The cause may be from tainted ham at the local farm. On an Apache Indian reservation the agents uncover an old curse of Grandmother Black Hands. A massacre that occurred a century ago has a curse where once a year the kids are taken over and kill. So this is the third anthology series. I liked all the stories and hope to read more.